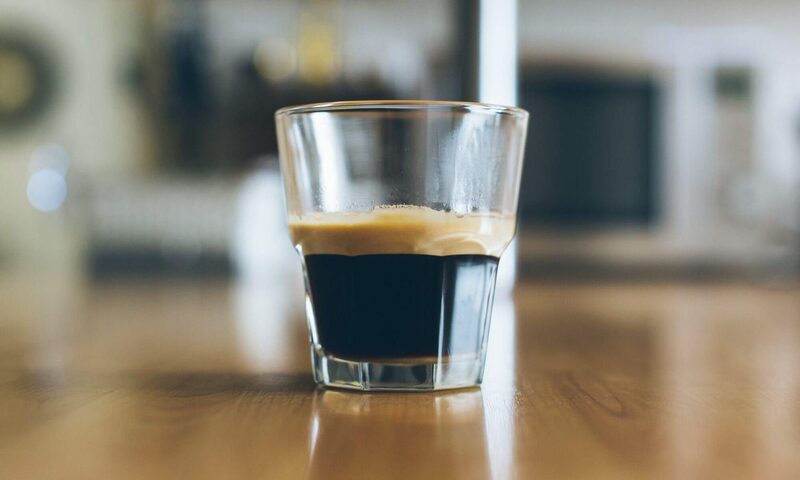 Caffeine Powered, Sleep deprived – Thoughts, stories and ideas of a software developer. I’m just rebuilding my site at the moment as I have moved the hosting from azure to google cloud. I’m going to put all my old posts back on here first and then I might actually start putting stuff on here again. It has been a long time (over three years) since I posted anything really, but that is how life is sometime. 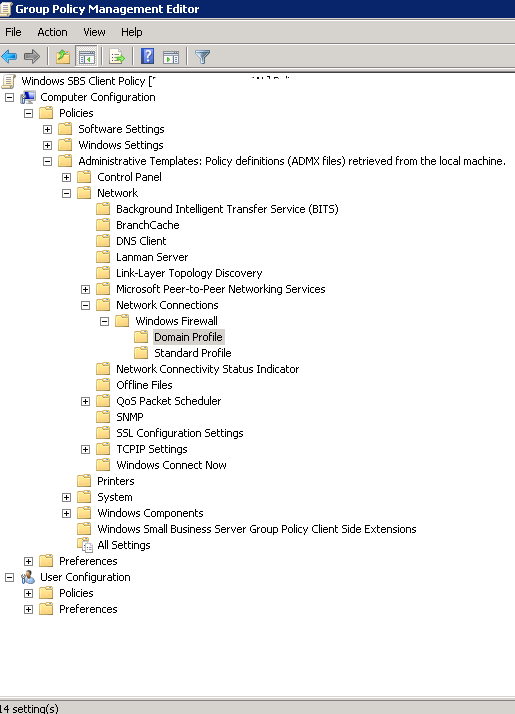 Disable the Windows Firewall on an SBS domain when it is locked with group policy. You need to run the command line / powershell as administrator for this to work. I checked the firewall and found the firewall was off for everything but the domain networks and it was greyed out so I couldn’t turn it off. Interesting. So I figured I’d need to change some policy somewhere. Last thing, it can take up to an hour and a half for policy changes to be applied to workstations\additional servers. You might want to force this to happen right away. And like magic the firewall will be off. Just be careful though as you will turn the firewall off on every machine connected to the domain if you aren’t careful. On installing a new server and all the updates the following was found throughout he Application event logs. The mount operation for the gatherer application has failed because the schema version of the search administration database is less than the minimum backwards compatibility schema version supported for this gatherer application. The database might not have been upgraded. It appears that one of the updated required some manual intervention. The link below details what you need to do. to the user BWEB\spsearch SID (S-1-5-21-26759078-436902130-1702569824-1161) from address LocalHost (Using LRPC). This security permission can be modified using the Component Services administrative tool. This turns out to be related to permission for the “Storage Reports Service”. In the DCOM Config dialog box, you noticed that the settings are grayed out. In order to enable those settings, perform the following registry modification. 1.Open Registry Editor by typing “regedit.exe” in Start > Run. 3.Right click and select Permissions. 4.In the popup windows, click Advanced. 5.In the Advanced Security Settings windows, select Owner tab and change the owner to Administrators. Click OK to close the window. 6.In the Permissions screen, select Administrators and check Full Control. Click OK to close the screen. In order to change the permission settings, perform the following steps. 1.Open Component Service by clicking Start > Administrative Tools > Component Services. 2.Navigate and expand the node Component Services > Computers > My Computer > DCOM Config. 3.Right Click the sub node “35B4B29E-0A6B-4ED7-B0A1-117BF912F497” or “Storage Reports Service” and select “Properties”. 4.On the Properties dialog box, select Security tab. 5.In the Launch and Activation Permissions section in Security tab, select Customize option and click Edit. 6.In the popup window, add the farm admin user account and check Local Launch and Local Activation permissions. The screen should look like this. All should be well again. After working in environments where there was source control and task tracking for so long there was just no way I could start building applications or writing code without having such systems in place. So the first thing I did when I started working in my current position was look at Task/bug tracking software and source control software. In the end I decided on Fogbugz & Kiln by Fog Creek Software. I went this direction as I like the fact that we could have them host everything and it was easy to support different development enviroments. If I was only developing with .net I think I would have likely gone with locally hosted Team Foundation Server. Anyway I’m now doing some .net dev work and thought I would mention a few things I’ve found related to excluding files with Mercurial. Too exclude files you create a .hgignore file. This should be linked in your mercurial.ini file. More about that later though. 2. notepad .hgignore Notepad.exe opens and asks if you want to create the file. Say yes. Finally to make this file work with all your repositories you should link it in the [ui] section of your mercurial.ini file. This file is located in your user profile folder. This appears to work for all version of windows and elsewhere. Both of these should work for command line and tortoiseHG. That is about all there is to it. I have been building some data services that are used to connect too Oracle data sources. 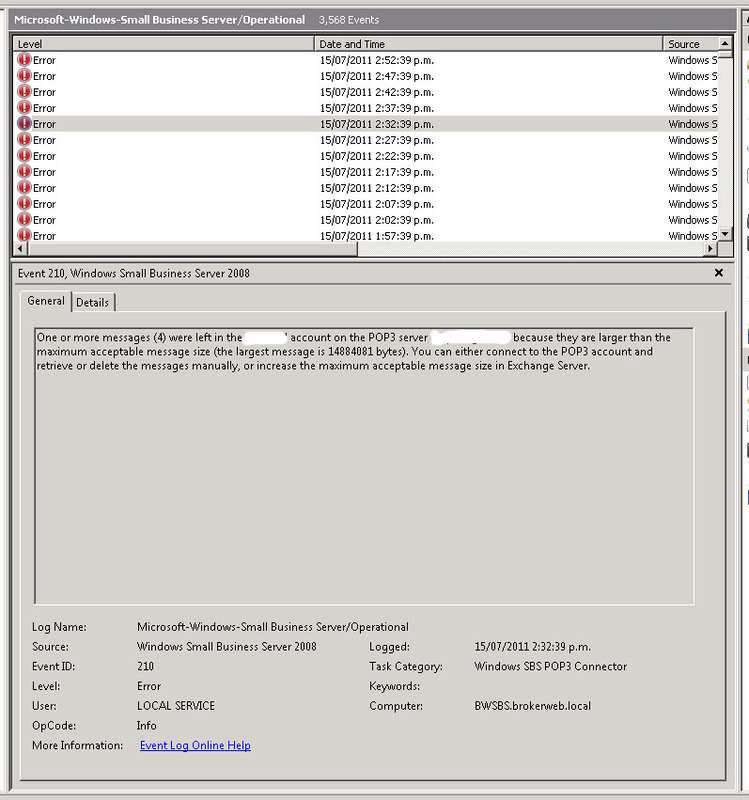 Everything worked fine within VS 2010 but on pushing my service to IIS locally and remotely I was getting error 500’s. I managed to solve the issues locally without to much trouble but on the remote server I really couldn’t for the life of me see what was going on. By default there was really very little in the way of debugging information. I was running Windows Server 2008 64bit but the data source from Oracle for odata only appears to be available in 32bit and that is what I installed. I was getting an error 500. To fix this you need to set your App Pool to support 32bit executables. To enable this in IIS right click your app pool and under “Advanced Settings” set Enable 32-Big Applications to True. This fixed my error 500. Building and deploying with this enabled gave me a nice error with the inner exception exposed. It basically says copy your data connection configurations to your client folder. When I installed the VS Compoents and the Odata/Asp.net client it created a new home directory and the configurations files were not getting picked up from the server home. I copied these and everything started to work! NOTE: I needed to restart Oracle and IIS for these new settings to take effect. Small things often cause pain – So why can’t I create a variable inside a switch statement? Yup all I need was those two curly brackets 😉 Now if only Xcode could have told me that! Yeah I know this isn’t a big thing, just think it’s funny how the small things can be such a pain at times and how knowing the syntax of a language really can be an advantage at times. I guess the moral of the story is that small things really do matter. I have been doing some networky type guf lately and on moving all our mail onto a local exchange server I discovered a wonderful little feature where you can connect to pop accounts to grab email and feed it into Exchange accounts. This is great because a few of the users in the office have historical email accounts and this makes checking them pretty much transparent to them. Event 210, which is just a oversized email error pretty much. Obviously you can make them whatever size you want. 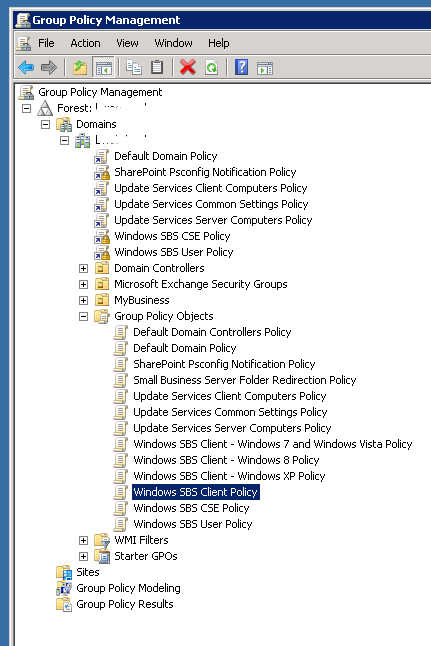 I increased them all, but for the pop account issue you onlye really need to increase the “Windows SBS Fax Sharepoint Receive <server name>” one.